Editor’s note: The original version of this story omitted two changes that altered some fishing opportunity for seiners near Dolgoi Islans and changing the opening schedules for setnetters in the area. The story has been updated to include these changes. With a year of poor sockeye runs, unfavorable ocean conditions and allocation fights before them, the Board of Fisheries chose to change part of the season for some nearby commercial fisheries to improve passage of sockeye salmon to Chignik. After a long debate, the board voted down some proposals to change the allocation in the Chignik management area at its meeting in Anchorage, but later passed two proposals to realign setnetting time and to close seining in June in parts of the Southwestern, Southeastern and Southcentral districts of the South Unimak and Shumagin Island fisheries. The proposals before the board were submitted before the 2018 season, when a disastrously poor sockeye run kept Chignik fishermen on shore for virtually the entire season, but they still scratched at an allocation itch between the terminal fishermen at Chignik and the commercial fishermen along the Alaska Peninsula. During the public comment period, speakers oscillated between Chignik residents pleading with the board to restrict fishing to restrict offshore fishing so the fishermen in Chignik can harvest more sockeye and commercial fishermen pleading with the board to leave regulations as they are so the fishermen can make a living. At the same time, further restrictions to harvest in other management areas — to the west and east of Chignik, respectively — would cut into the profit margins of the fishermen who have invested in boats and permits to fish in those areas. Multiple fishermen from Sand Point and Area M asked the board to leave regulations at status quo. The management plans of the Chignik area are complicated and rely on allocation percentages of the salmon passing through. The proposals the board considered were submitted before the 2018 season, but the poor runs last year played into board members’ discussion because of how significantly the Chignik economy depends on a single fishery. Within its allocation criteria, the Board of Fisheries includes a consideration for the importance of a fishery to a local economy. Board member Al Cain said during a debate over a proposal that would have changed allocation percentages that based on discussion with stakeholders in the area, he didn’t want to change allocation much during the meeting. The board members spent significant time debating the allocation percentages in the area, with several proposals failing on narrow vote margins. Board members Israel Payton and Fritz Johnson both suggested multiple changes based on one proposal to the Southeastern District Mainland management plan, which focuses on an area southwest of Chignik. Payton’s version of the proposal focused on changing some of the harvest patterns for seiners in Area M, reducing some of the harvest pressure on eastern-bound sockeye stocks. He noted that changes made to the management plan in 2004 resulted in increased harvest on eastern bound stocks, based on Alaska Department of Fish and Game data, and wanted to shift more of the harvest back to the west. With board member Al Cain absent from the debate on Payton’s amended proposal, the six remaining board members split 3-3, resulting in the proposal failing. During the debate, board member Robert Ruffner said he wanted to be cautious to make any major changes to fisheries that would result in shifting effort. Moving effort reactively based on one year’s poor run could result in damage to another stock in the future, he said. Plus, the poor sockeye runs in 2018 were most likely due to environmental conditions in the Gulf of Alaska, based on the fact that sockeye runs were poor everywhere from the Copper River to Chignik. Board members John Jensen and Orville Huntington agreed with Ruffner and voted against the proposal. Payton replied that while the Gulf of Alaska conditions certainly had an effect, the board was obliged to do what it can. Later, the board moved to amend and passed proposals to limit commercial fishing time in sections of the fishery in the South Unimak and Shumagin Islands near Dolgoi Island. Proposal 138, which originally asked to reduce commercial salmon fishing time to 75 percent of the current level; the Board of Fisheries amended it to close the Dolgoi Island area to seiners throughout June. Ruffner noted that data showed that many of the salmon passing through the area in June are headed for Chignik and that removing the seine fleet could help the Chignik fishermen and the escapement to the river. 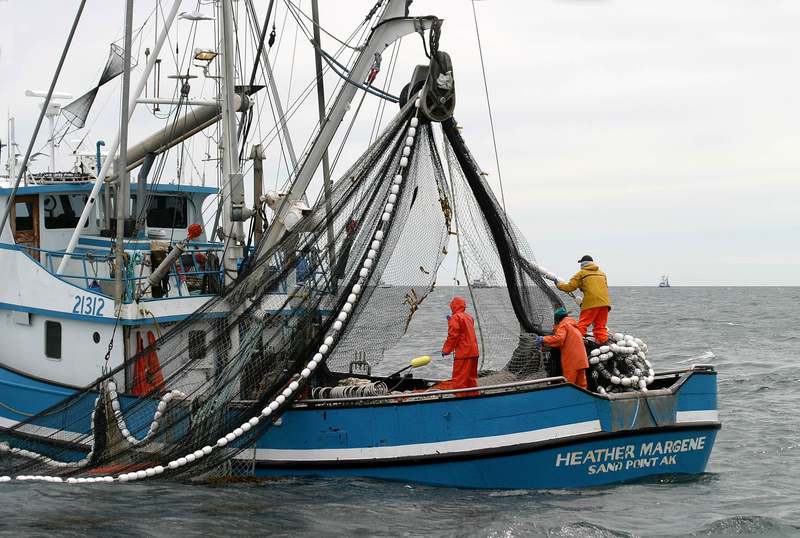 On the proposal to shift setnet fishing schedules, the board amended the proposal to align the hours with the other commercial fishermen in the area. The final language allows setnets in the South Unimak and Shumagin Island fisheries to begin June 6 at 6 a.m. and fish for 64 consecutive hours instead of the previous 88, and then will open for 88-hour consecutive periods beginning June 10 until June 28. The board approved both the amended proposals unanimously.